In contrast to my disclaimer in Part 1 –I am more comfortable endorsing these techniques since I have used them all! The target in this context is usually the working memory (think of working memory as mental bandwidth) – the part of the brain that stores and manipulates information. Tasks that require reasoning, comprehension and learning rely at least in part on working memory. It is involved in focus and attention and subject to further processing this information goes into long-term memory. Mindfulness which is a specific way of paying attention to the present moment characterized by a receptive and non-judgmental attitude has been found to elicit a positive impact on cognitive performance and abilities including attention, memory, cognitive flexibility, and quality of task performance. 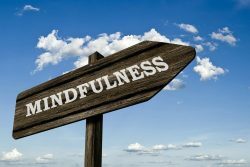 There is a preponderance of scientific evidence on the value of mindfulness and cognitive performance. In short – lower blood pressure and improved working memory seems to increase concentration and eliminates distracting stress. Popular press and scientific journals are replete with the evidence that exercise can improve performance. 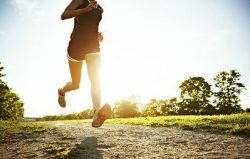 While there is still some debate if resistance or aerobic exercise is better – the good news is you can do both. Body & Brain: Part One – Did You Know You Have Two Brains? A well done overview of the impact of the environment is 11 scientific reasons you should be spending more time outside by Lauren Friedman and Kevin Loria. Finally, I will use this opportunity to encourage you to read my upcoming article on embodied cognition. Clearly, it is a topic related to augmenting cognition.